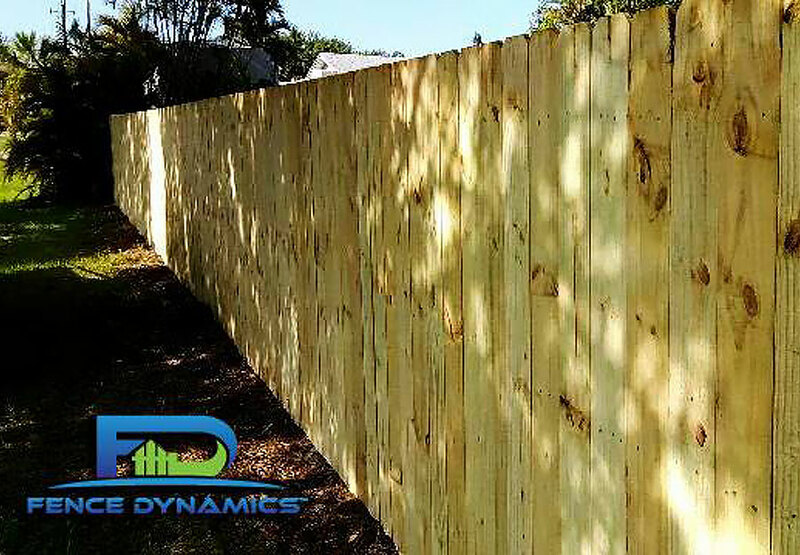 Wood fencing contractors Fence Dynamics offers a variety of wood fences for every purpose. 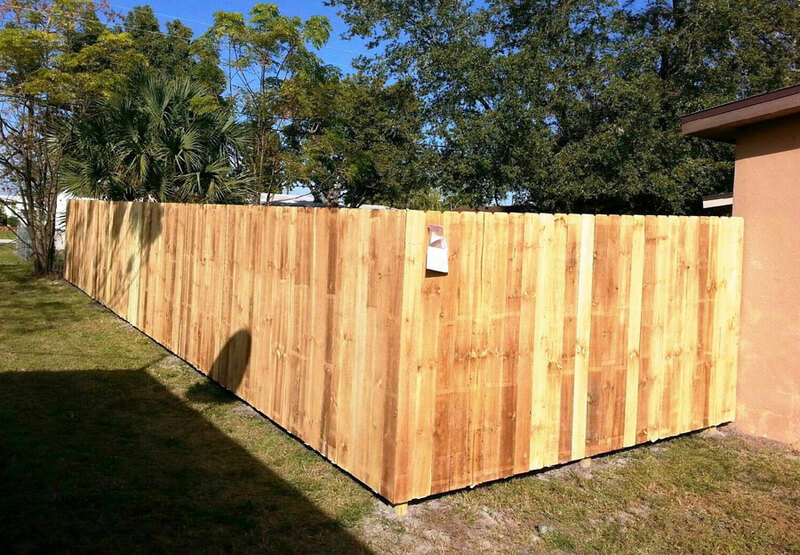 Our most popular wood fence is custom built treated pine or cedar wood fence. 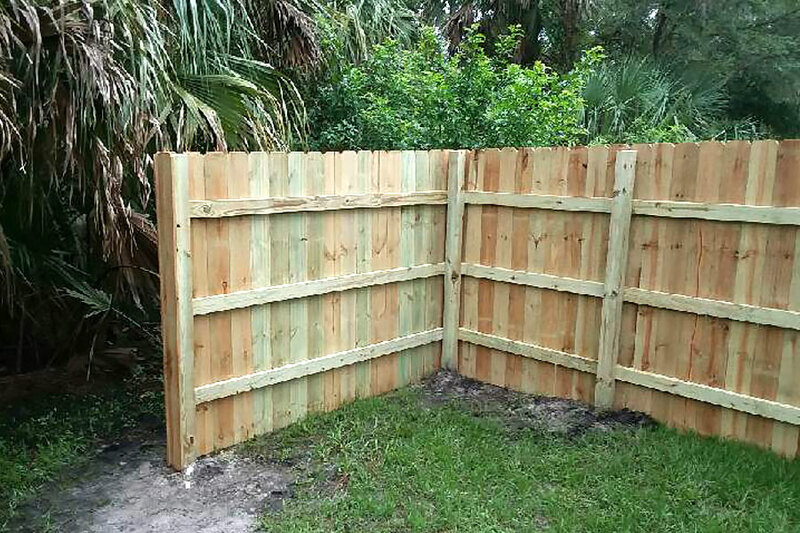 The style of a custom built fence varies by individual taste. 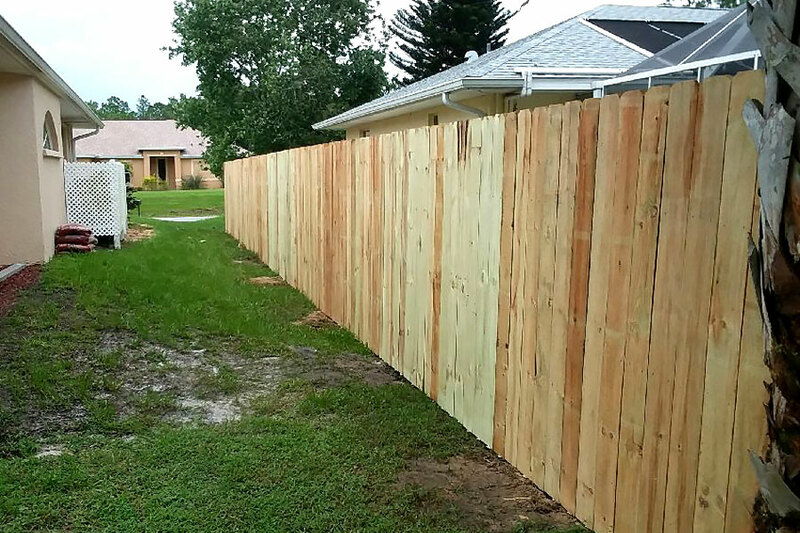 It can be as simple a basic picket fence or as decorative as a shadowbox style with elaborate finials and a scalloped top. 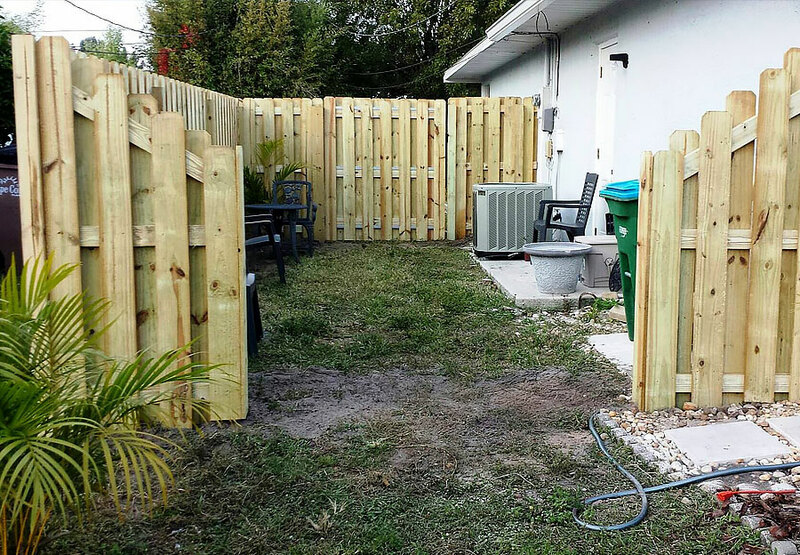 Most of our installations are custom built. 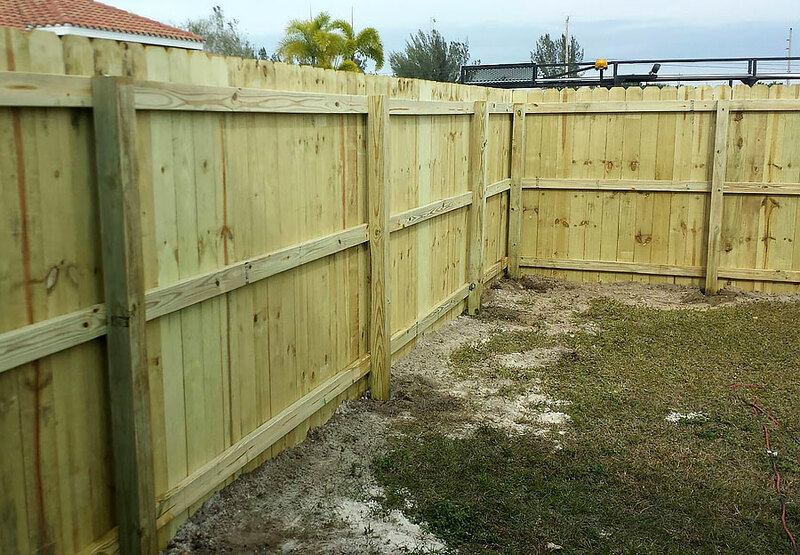 We set your posts in solid concrete footers, install the horizontal rails, place each vertical picket and build your gates. 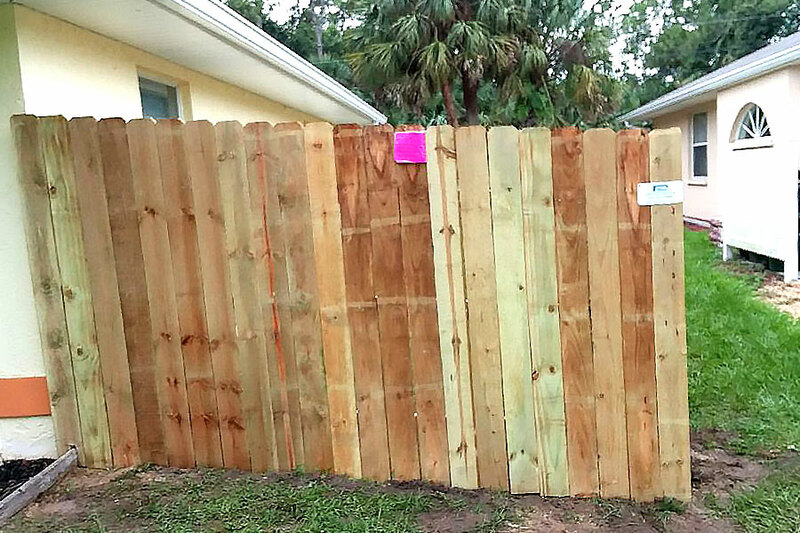 Many different picket tops are available. 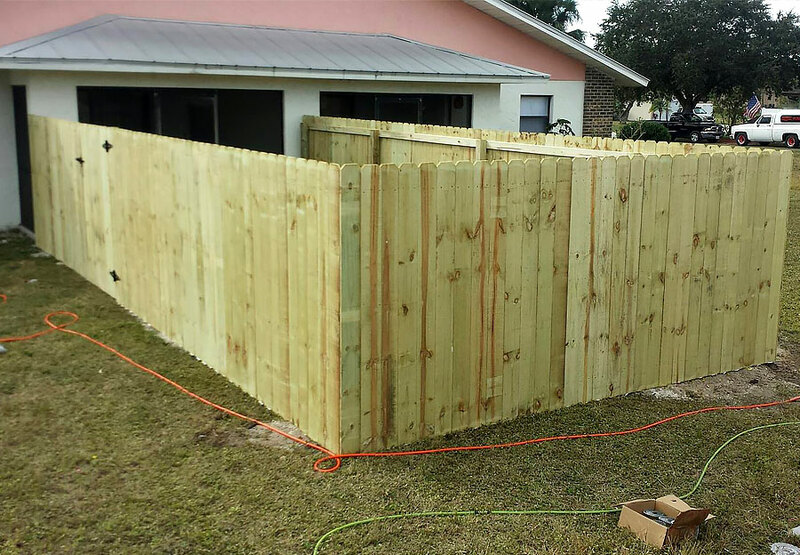 Also available is stockade fence. 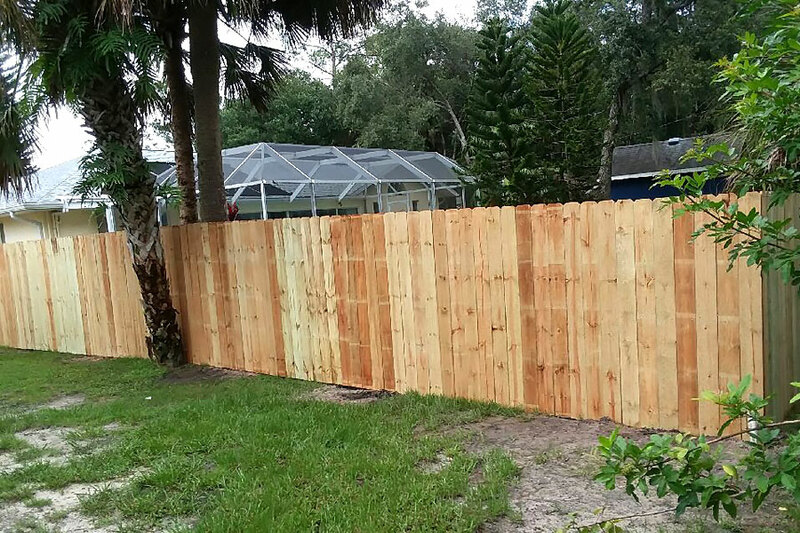 Standard panels are 6′ high x 8′ wide. 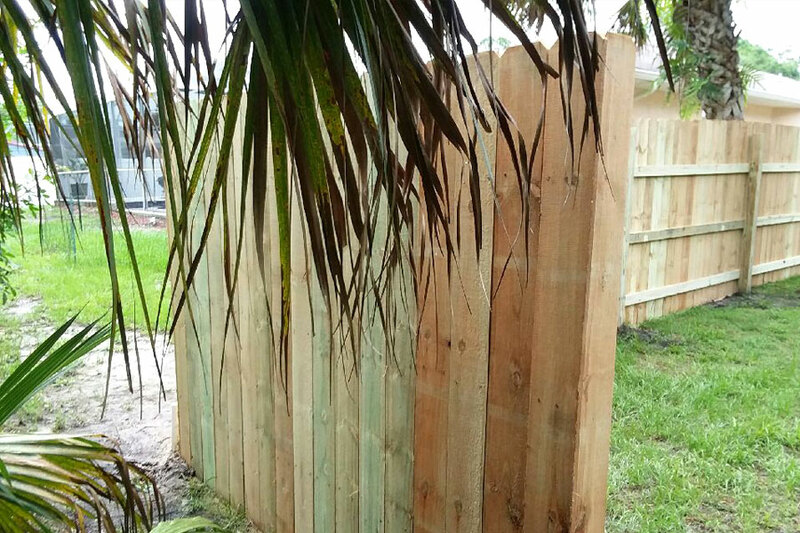 This fence is available in using a treated pine wood or cedar. 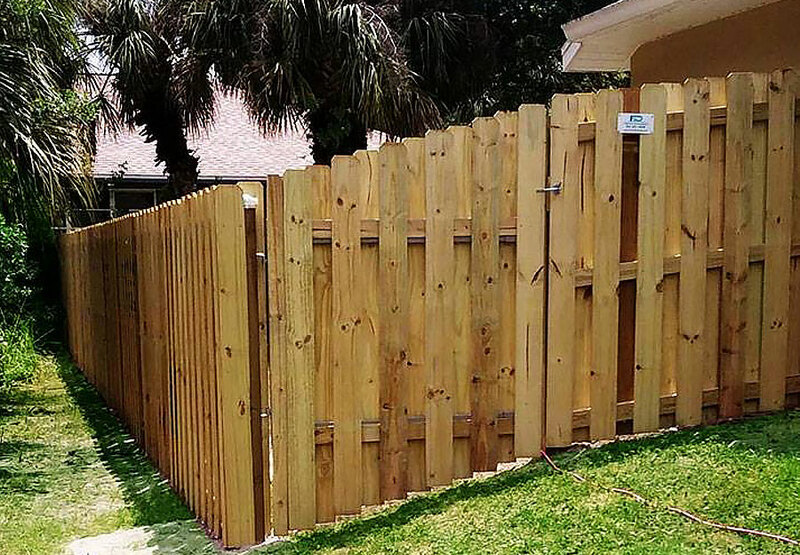 Using a panel can reduce the cost as compared to a custom built installation. 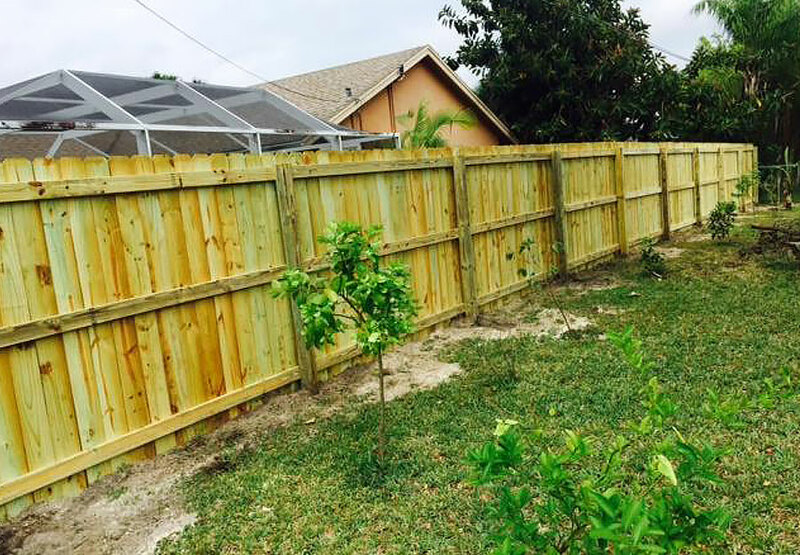 However, panels typically work best on level landscape and may need to be “stepped” on a grade or hill. 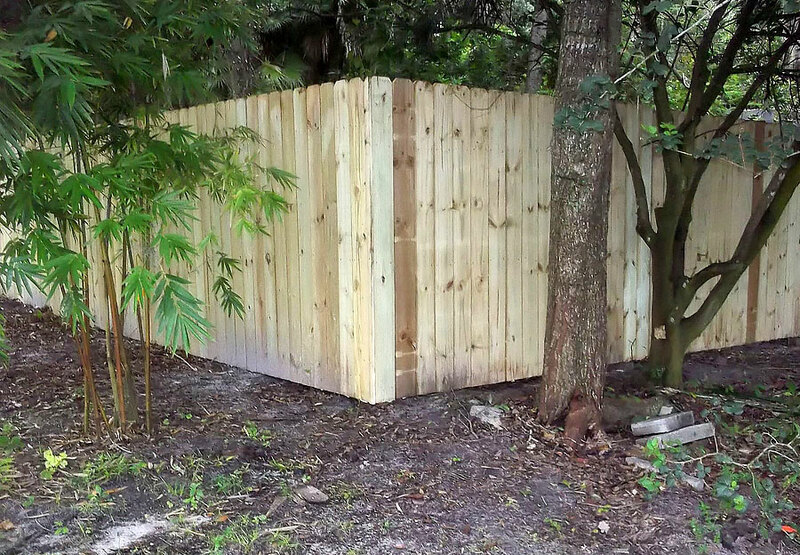 Wood fencing also doubles as a great privacy fence as well. 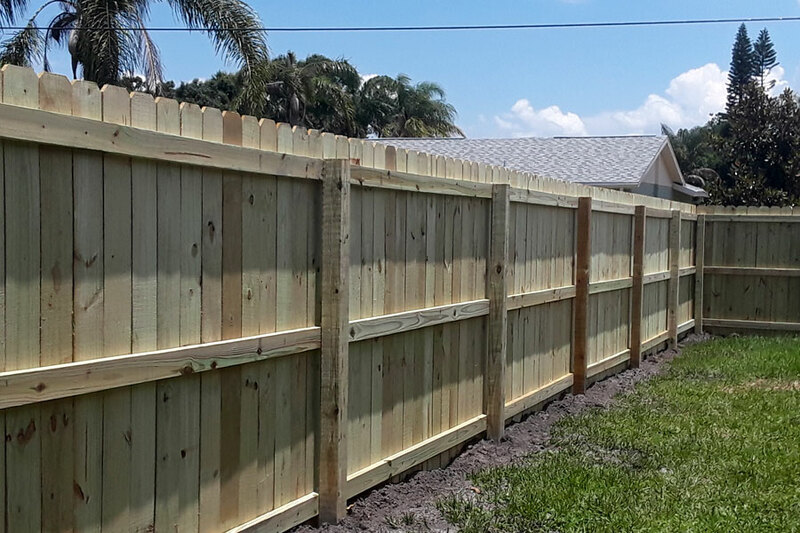 Our fence installation services are flexible and customizable toward each clients unique needs. 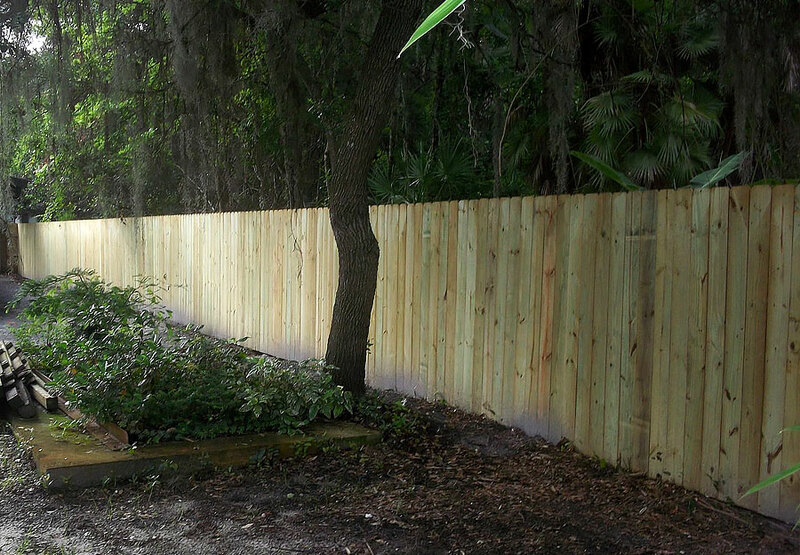 Our traditional split rail wood fence is also a popular style. 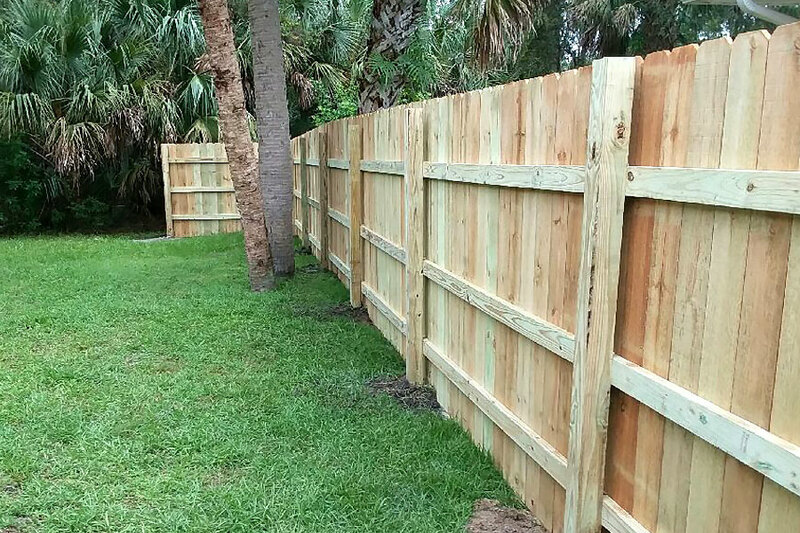 Available in 2 or 3 rail, split rail fence is built using pine posts and rails. 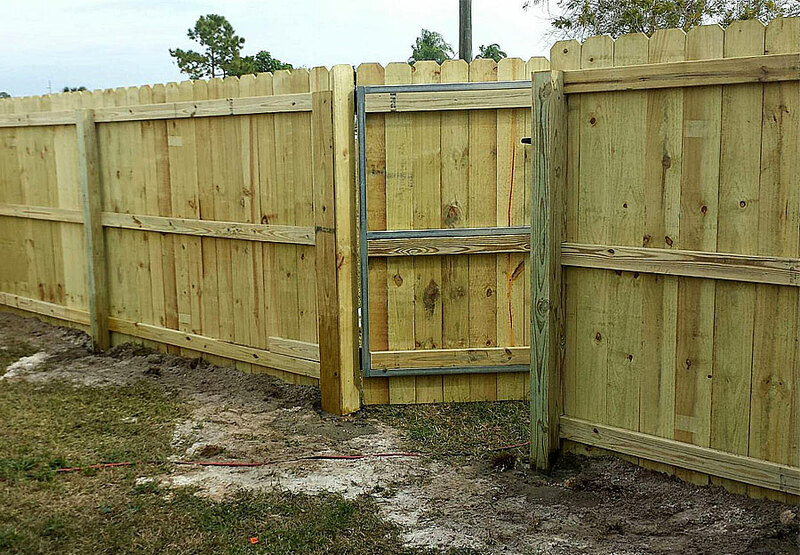 Welded wire or chain link material can be attached to any split rail fence for added security and protection. 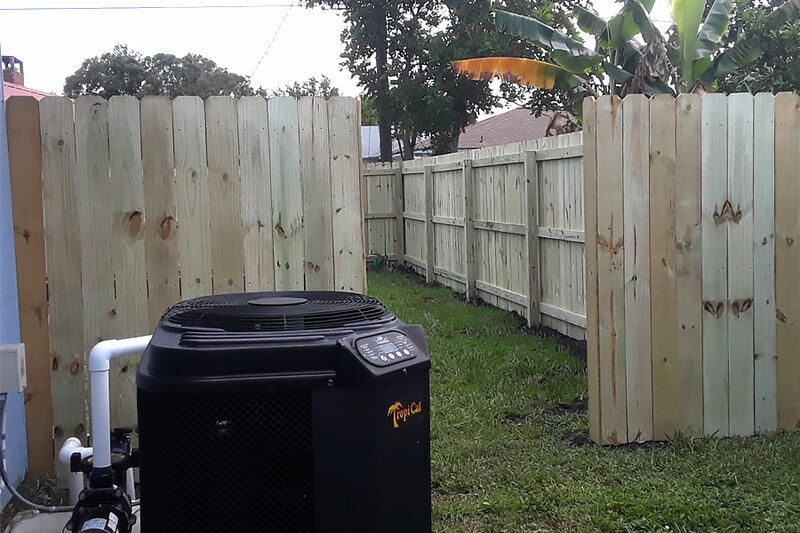 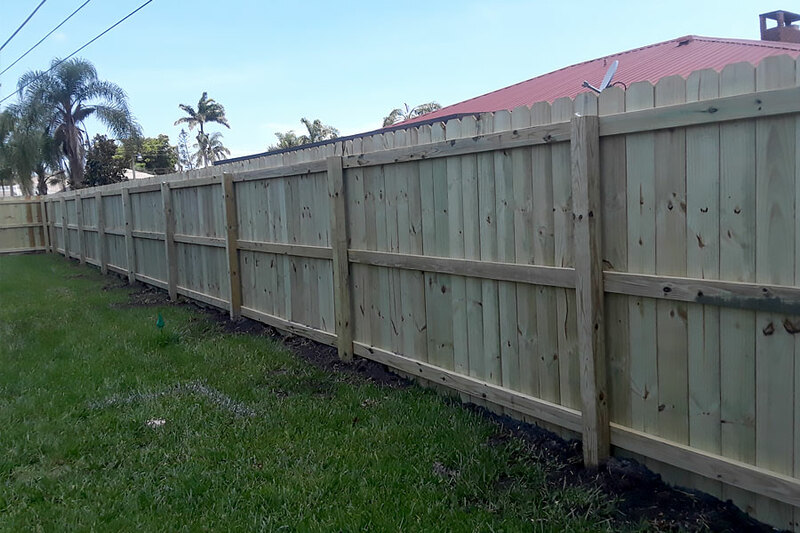 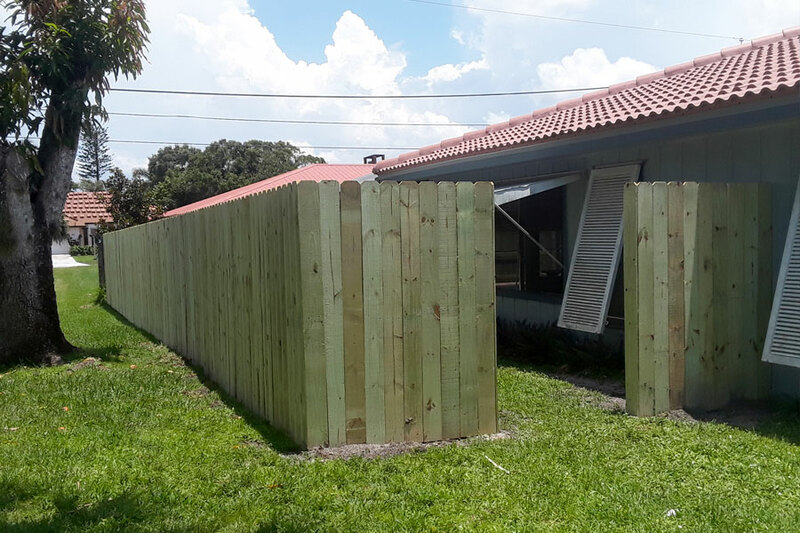 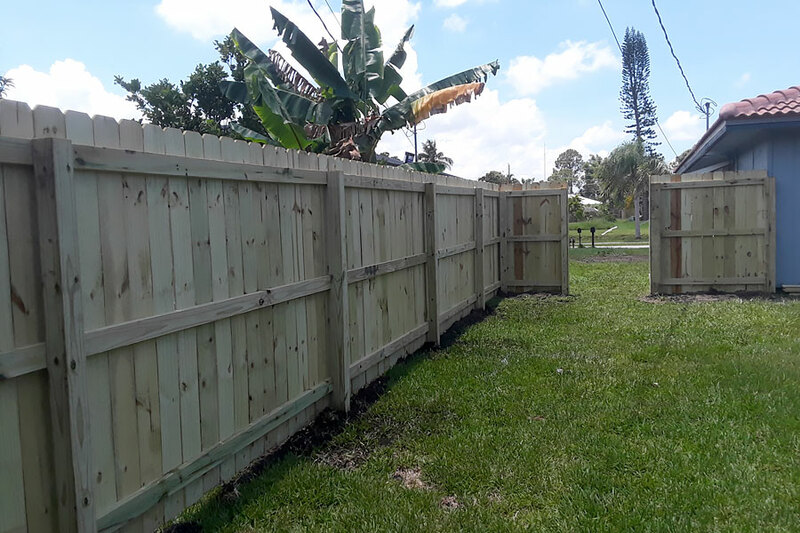 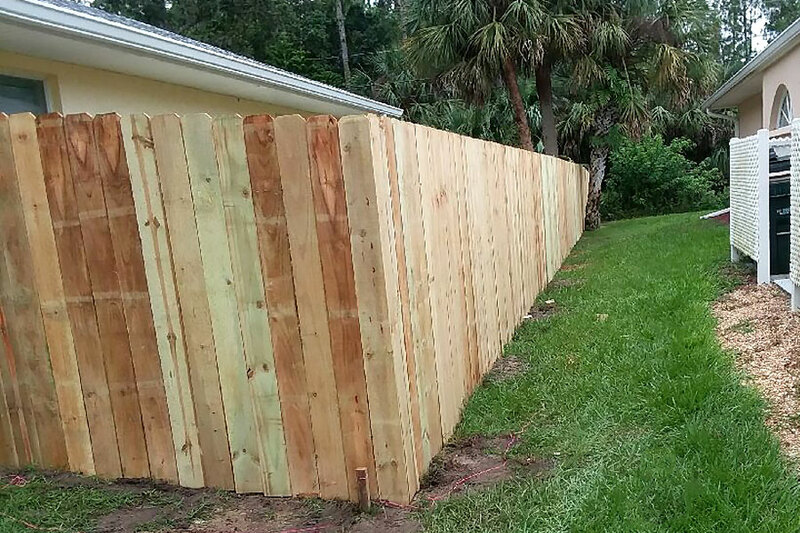 Port Charlotte residents will experience expert craftsmanship through Fence Dynamics wood fencing contractors and fence installation services.